If you are looking for a sweet treat that looks great but is super easy to make, then these Chocolate Covered Rice Krispie Treats are exactly what you are looking for. 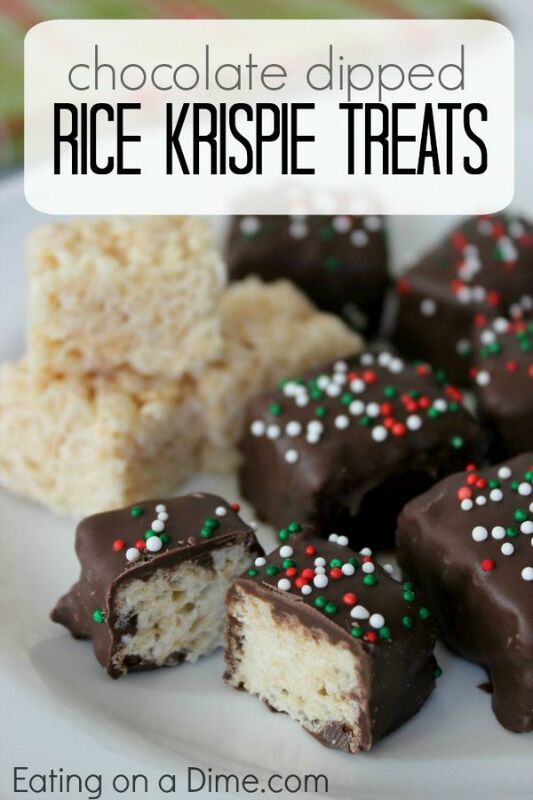 If you can make Rice Krispie treats (and really, anyone can) and use a microwave then you can make these delicious treats! 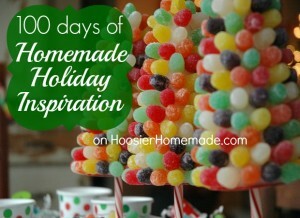 100 Days of Homemade Holiday Inspiration continues with Day 17! Each day we are inspiring you with recipes, decorating ideas, crafts, homemade gift ideas and much more! I bet these would be great if you made them peanut butter Rice Krispie treats first! The peanut butter and chocolate flavors together are always good. You can add sprinkles to the top of them before the chocolate hardens and customize them for any holiday.